Ramblers Worldwide Holidays is giving clients the opportunity of sampling a new range of two and three night holidays called ‘Bite Size’ breaks. These are aimed at people who want to get away from it all for a short spell on a relaxing, rejuvenating pick-me-up and who may be unsure about committing to a longer duration group holiday for their first walking holiday. Some of these even offer No single supplement rooms. The Best of The Lake District – walking in the footsteps of the great Alfred Wainwright. Price from £195 per person for three nights includes full board accommodation and the services of a dedicated tour leader. Dates from 23 March 2016. A three night break staying at the Webbington Hotel and Spa at Loxton with walks on the West Mendip Way, with spectacular views from Crooks Peak over the Somerset Levels to Exmoor; Burrington Combe ravine; Dolebury hill-fort and Beacon Batch, the highest point on Mendip. On New Year’s Eve there is a Gala Dinner. 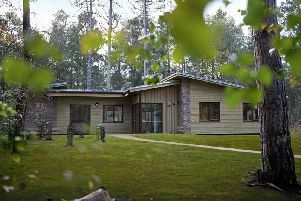 Price from £290 per person includes half board accommodation and the services of a dedicated tour leader. Date – 30 December 2016. A two night break staying at the Lindors Country House Hotel, near St Briavels with walks exploring the Wye Valley Walk. Price from £160 per person includes half board accommodation and the services of a dedicated tour leader. Dates from 7 February 2016 – No single supplements. A two night break staying at the four-star Dunston Hall situated in parkland on the outskirts of Norwich with walks along the lowland footpaths of Norfolk’s countryside. Price from £185 per person includes half board accommodation and the services of a dedicated tour leader. Dates from 16 May 2016. A two night break at the Sidholme Hotel, an elegant Georgian mansion just a short stroll from the seafront with walks along the Jurassic Coast and inland heaths. Price from £175 per person includes half board accommodation and the services of a dedicated tour leader. Dates from 3 April 2016. No single supplements. As well as offering some of the finest guided walking holidays on the planet, Ramblers Worldwide Holidays also supports a number of charities throughout the world.These include the Youth Hostel Association, the Duke of Edinburgh Award Scheme and the Ramblers, showing that the company’s efforts are acknowledged by everyone across the age range from youth to maturity. Their charitable initiative, Heart and Sole also supports projects in Morocco, Costa Rica, Cape Verde, South Africa, India, St Lucia and Malawi. And, speaking of Malawi, one of Ramblers Worldwide Holidays’ Leaders, Adrian Flatt, has just returned from a trip to the country with 13 RWH clients which proved both emotional and immensely rewarding. As part of RWH’s community project – Youth for Development and Productivity (Y.O.D.E.P.) – Adrian and his team arrived in the small village of Zomba in the heart of Malawi, bringing a gift of footballs and team shirts. Word had already preceded his arrival and he was greeted enthusiastically by youngsters who took no time in donning their ‘strip’ and launching into a hard fought match. Adrian, the clients and other leaders of the Y.O.D.E.P.project said this sight “thrilled their hearts with bare-footed players driving the ball like cannon shots up and down the tiny pitch”. When it was time to go, Adrian was saddened to leave with a crowd of young, smiling people in ragged clothes running after the departing vehicle which was consumed in a cloud of dust. Ramblers has also added the following brand new guided walks to its extensive portfolio. La Senda de Camille – a 10 night holiday exploring the Spanish and French Pyrenees including a circular trek through the spectacular Natural Park of the Occidental Valleys in Aragon, Spain and the National Park of the Pyrenees in France. Highlights include awe-inspiring scenery – once home to the indigenous bear called ‘Camille’; beaches, forests and lakes; the limestone cliffs of Castillo d’Archer; the ancient frontier of Somport with its verdant forests, shepherds’ huts and delectable cheeses; the Circle of Lescun and peaceful Bearn village. Price from £1,399 per person includes return flights, transfers, half board accommodation in mountain refuges and one night at either end of the holiday in an hotel in Echo, daily baggage transfer and a local walking guide plus the services of a dedicated tour leader. Departures from 22 June 2016. Le Grand Bornand – a 7 night holiday exploring this picturesque French Alpine village with its beautiful surroundings and spectacular walks in the Massif des Aravis. Highlights include, ancient wooden chalets; walks through high meadows and pine scented woods on meandering paths; the18 dramatic peaks of the Aravis; Lac Léman in the north west; the turquoise waters of Lac d’Annecy and Mont Blanc and a cable car to the ancient architectural site Le Chinaillon. Price from £955 per person includes return flights, transfers, half board accommodation and the services of a dedicated tour leader. Departures from 25 June 2016. Via Francigena – a 6 night pilgrimage through the stunning Tuscan countryside embracing, Via Francigena (the way of St Francis) which leads from Canterbury to Rome. Highlights include, San Miniato, famed for its truffles; the ancient town of Gambassi Terme with its spa and superb glass blowing; the walled, hilltop medieval town of San Gimignano and Siena – a UNESCO world heritage site and one of the most beautiful attractions in Italy. Price from £ 999 per person includes return flights, transfers, half board accommodation and the services of a dedicated tour leader. Departures from 5 April 2016. Ramblers Cruise & Walk has teamed up with Fred. Olsen Cruise Lines to launch a new river cruise to France and Spain in 2016. The ability of the ship ‘Braemar’ to navigate some of Europe’s great rivers gives clients the opportunity to enjoy the beauty of both countries from the lofty deck of their ‘floating hotel’ – stopping off at glorious cities and towns en route. Highlights include, Lisbon, where a guide takes one on tour through Portugal’s enchanting and historic capital; cruising the Guadalquivir river; Seville, with its orange-scented streets of Barrio Santa Cruz, Moorish Alcázar and Columbus’ tomb; Vigo in Galicia’s green Spain with its beautiful Parque do Castelo and views over the Ria do Vigo; Bordeaux, famed for its Médoc vineyards, châteaux and wine tasting at Châteaux Lamothe-Cissac; cruising Gironde and Garonne rivers; Rouen, with its spectacular cathedral captured by Monet; the legend of Joan d’Arc and farmlands of Normandy and cruising on the Seine in France. Price from £1,565 per person includes all meals, shore excursions and the services of a dedicated tour leader. Departs Dover 18 March 2016.